The James D. Watkins Student Awards for Excellence in Research is given out annually to exceptional student presentations at the conference. The Watkins Award strives to recognize outstanding research in order to cultivate the next generation of scientists and encourage excitement for presenting their work. 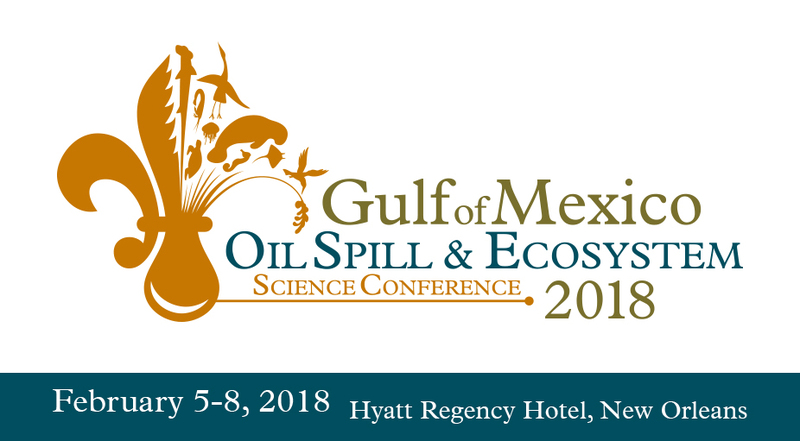 Thank you to the award judges for their assistance in evaluating student presentations and to the Consortium for Ocean Leadership and the Gulf Research Program of the National Academies of Sciences, Engineering, and Medicine for sponsoring the 2018 awards! The National Oceanographic Partnership Program’s (NOPP) Excellence in Partnering Award is given annually to a NOPP project that best exemplifies the program’s objective of developing a successful network of partnerships to advance the ocean sciences. The 2017 award recognizes the Gulf of Mexico Shipwreck Corrosion, Hydrocarbon Exposure, Microbiology, and Archaeology Project (GOM-SCHEMA) led by Dr. Leila J. Hamdan (University of Southern Mississippi) and Melanie Damour (Bureau of Ocean Energy Management). GOM-SCHEMA’s eleven partners investigated the impact of oil exposure on historic shipwrecks from the microscopic to the macro scale during a four-year period and the subsequent recovery of these sensitive deepwater habitats in the Gulf of Mexico. Read more about this collaborative project.